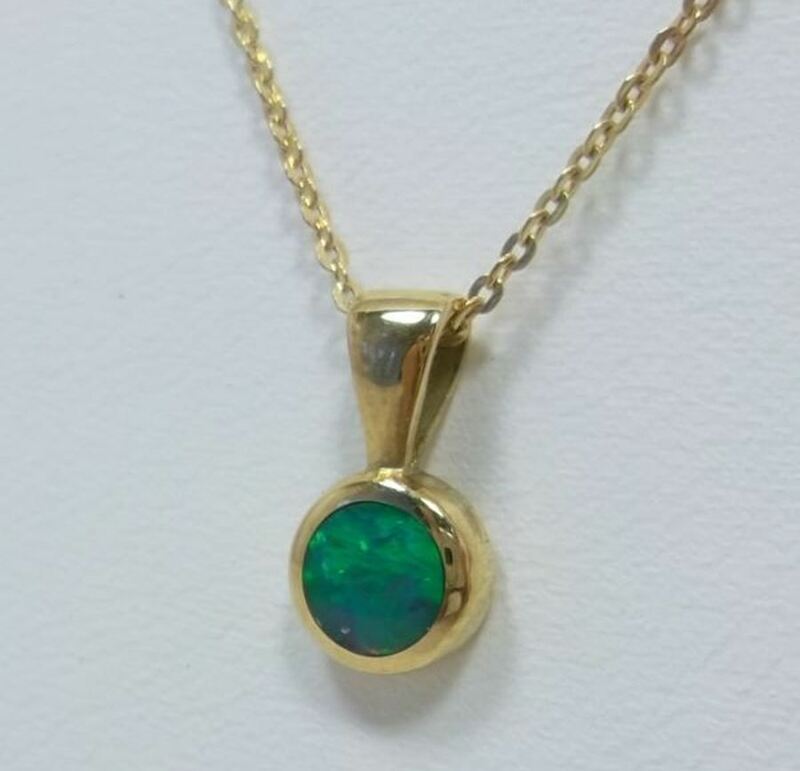 Quality and beauty are concentrated into a drop of 18kt Gold in this beautiful pendant with circular opal inlay. 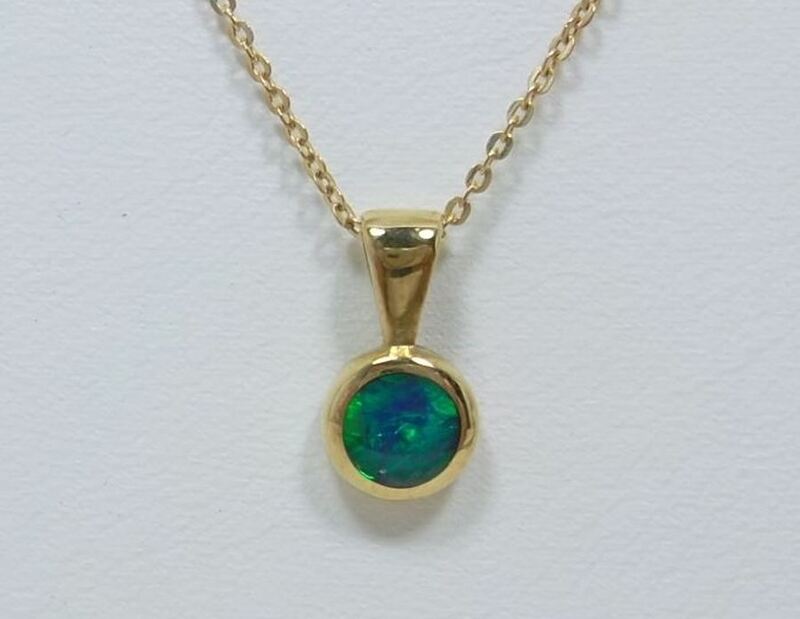 The pendant is suspended by a simple shank from a fine 18kt Gold chain. The pendant is 6.5mm in diameter and the chain 410 mm long.